There is something very seductive about the idea of laying down a cellar. I succumbed around 1989 and continued to collect, mainly red Bordeaux, over the years that followed. Twenty years on and I was delighted to have some great wines tucked away, but I’d also come to realise that the balance of a collection acquired over two decades didn’t quite reflect my current tastes. I wished I had done things slightly differently. Re-location a couple of years ago gave me the opportunity to re-engineer my cellar. Many cases were sold, creating much needed space – both physical and mental – to take stock of how much wine I wanted to lay down, and what mix it should be. It was a wonderful catharsis: the niggling guilt over all those slumbering cases that I no longer loved was replaced with renewed joy in what remained. And the truth? I do not miss a single bottle. To find out if other collectors had faced a similar dilemma, I carried out a little survey of people who had been cellaring wine for some time. Many had sold or exchanged fine wines via the free ‘swap shop’ on wine-pages.com. Their responses seemed to indicate that my experience was a common one. The notion to start a cellar usually strikes in our late twenties or early thirties, as increased earnings make it possible and the bite of the wine bug makes it irresistible. Bryan Collins, a 40-year-old wine lover from Cambridgeshire, has been collecting wine for 10 years but has recently sold many cases – mainly Bordeaux. “I think of it as re-balancing my cellar,” he said. “I started off being top heavy in Bordeaux and bought far too much. I still enjoy Bordeaux, but it needs to be about 10% of my cellar, not 30%.” Richard Ward, a wine enthusiast from Leeds, concurred: “I have mainly sold Bordeaux to re-invest in other areas.” The logic of spending a small fortune at age 30, to purchase wines you will not drink for 20 years, does seem dubious on the face of it. How much have your tastes changed over 20 years? Would you seal up a wardrobe of clothes for two decades, confident that you’d be delighted by their fit, colour and style when eventually re-opened? But not all wine can be sold at profit. Receiving almost as many nominations in my survey as Bordeaux was New World wine, and one wine in particular: Australian Shiraz. Forty-year-old Canadian wine lover Timothy Hughes’s experience was typical: “I purchased quite a bit of New World wine in the early days that I no longer have any interest in drinking,” he told me. “No matter how many Parker points, Aussie Shiraz doesn’t really get my taste buds going, and unfortunately it is largely unsalable at auction.” Whether classed growth Bordeaux or icon Shiraz, there is also the latent problem of the ‘Top Trumps’ effect. New collectors often chase the highest scoring wines which, by their very nature, will need decades to mature. How many of us, with a cellar full of undrinkable trophy wines, come to realise that bigger isn’t necessarily better? I also suspect that some new collectors have little experience of drinking very mature wines. Old wines sacrifice the fruit and vitality of youth for a hopefully beautiful resolution, but that is by no means assured. The truth is, that for a whole variety of reasons, old bottles can often disappoint. To cellar, or not to cellar? Australian wine journalist Huon Hooke sums up the dilemma of the wine collector neatly when he says “To be an oenophile guarantees that your palate will keep changing subtly.” So is the rush to collect almost a guarantee a future of disappointment? Are there strategies that can be adopted to avoid the pit-falls? I don’t suggest for one minute that you should resist building a wine cellar: it is hugely enjoyable and can make a lot of sense. Chris Smith of London started collecting in 1995, and says “I am buying fairly serious kit that I can’t really afford today, but I am absolutely certain I won’t be able to afford it in the future.” The secret is to adopt an inquisitive and adventurous approach. The world map of wine is ever-expanding, and my guess is that you celebrate that in your everyday drinking. So why should your cellar – such an essential part of any oenophile’s life – be less diverse and, ultimately, less exciting? 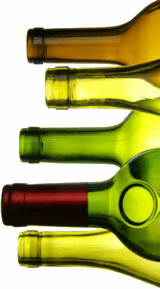 A non-commercial swap-shop for wines is offered via the VinXchange forum that is part othis web site. Registration is required, but the service is free. It is open only to private individuals wishing to buy, sell or swap wines, not to anyone trading in wine. I discovered the hard way that a lot of wine doesn’t age well beyond two or three years, and a number of wines seemed less interesting to me a few years after I started collecting. Today I lay down wines that are harder to find when mature – fine Mosel or Barolo for example. I also buy wine that is already mature. That sometimes means paying a premium, but I’m buying wines I know I want to drink. In the past I felt I should lay down wine, but today I mostly buy for faster turnover. I also buy a wider variety of grapes and regions – because wine has got so much better. To anybody just starting out I’d say: buy 2009 clarets and Sauternes, 2007 Rhônes and vintage Ports and 2008 Burgundies. All will reward you, but don’t buy too much of any one: it’s supposed to be fun, not a lifetime commitment. 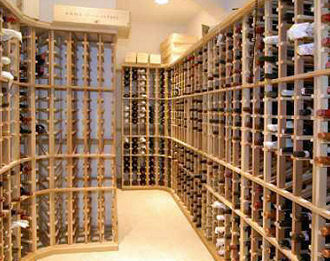 Wine critics and more seasoned wine lovers are often a substitute for personal experience in the first stages of collecting. I think this is why many people get saddled with piles of wine they don’t really like. Diversify: buy three bottles of things you are keen on, then move on. Take every opportunity to drink mature wines to understand what it tastes like when it is at its peak. I’m not much of a bottle stroker, except for some DRC happily hoarded for future consumption. Generally I tend to buy wines I like after a tasting, and all of them tend to get drunk. NV Champagne can age to a honeyed excellence and be a pleasant surprise. As for Bordeaux, I’m down to two now, a good vintage Montrose and another – but I’ve forgotten what it is! I purge my cellar from time to time, basically because it holds about 200 dozen and I don’t see any reason to have a bigger stash. I have swung away from Australian towards Europe over the 35 years since I started, and seldom find I have wine in my cellar that I don’t like any more. When I purge to auctions it is wine I just never seem to drink. Everything I have I intend to drink – with the help of other peoples’ livers.